Work is any movement or individual effort of the individual to produce a commodity, or tangible achievement of material, and there are two types of work, one does not require a specific skill, but the main element of this type is the effort or muscle strength is made, the second type is the specialized work that Can not be achieved except with the specific skills of the worker and in the case of weakness or loss, the achievement of the commodity or work is not achieved, so there is an abundance of unskilled labor, and scarcity in the second type of employment, which is theoretical and practical training in specialized courses. Skilled scientists know that it is possible to accomplish a task in a specific way and with absolute accuracy, and speed in implementation. If a skilled worker can produce a commodity with specific specifications according to the most accurate specifications required, coupled with an important aspect of the speed of delivery, and a commodity of this type and according to these specifications can not be produced only by skilled worker mastered by the acquisition of certain skills mastery of training and accumulated work experience. There are skilled labor skills, such as manual skill such as construction, carpentry, blacksmithing, etc. 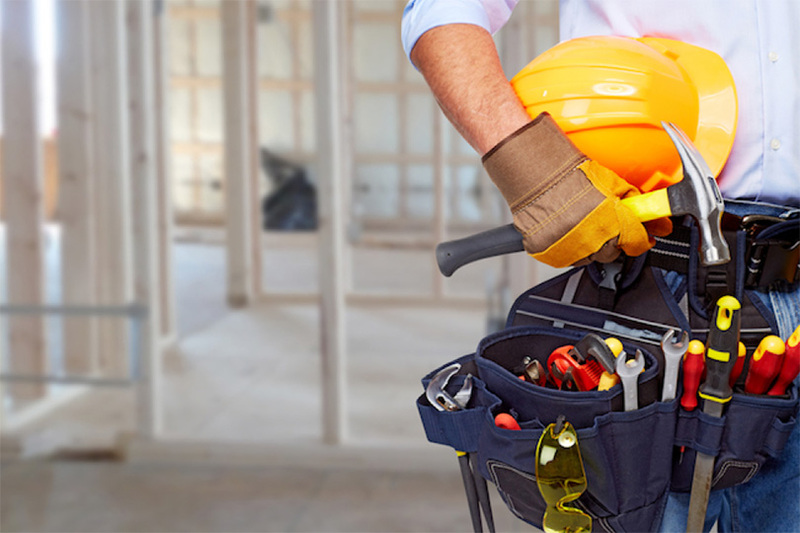 These professions can only be initiated professionally after learning certain skills that allow the worker to be a carpenter, builder, employee, etc., in which skilled workers can engage in business and professions. Another skill is mental skill, whose importance is to direct manual skill for the better. There are certain forms of this type, such as creative skill, organizational skill, and descriptive skill. These skills are intellectual, not manual or kinetic, so the worker can not be skilled unless he accompanies Between mental and practical skill. The definition of the labor force or the labor force in a society is the enumeration of persons who work or are looking for paid work in that society from the beginning of the youth to the retirement age. The students, retirees, housewives and the unemployed Not looking for work) and prison inmates, the total number of individuals who work equals the labor force, divided into two sections I skilled labor, the second traditional employment or those that everyone can carry out and accomplish. In Iraq, is there a problem in skilled labor? The current situation is positive. Experts say that the biggest problem facing the labor movement in Iraq is the abundance of unskilled labor and the scarcity of specialized skilled workers capable of producing goods and things. It can be acquired by training courses, and by continuing to work and gain accumulated experience and skills, this problem is divided by many problems that can cause huge economic losses. The global and local economists and profitable companies see Iraq as a country with great wealth, capable of jumping to the ranks of the industrialized countries because of the availability of elements supporting this goal, the necessary funds can be provided, and can be contracted with specialized companies to build factories and productive projects that transform Iraq from a single state rent To a multi-resource country, but there is a problem that can not be resolved simultaneously or quickly because it is related to the acquisition of work skills. This problem has not been viewed by the state in terms of responsibility and successive governments. Addressed the problem of skills that have a lack of employment and especially young people in Iraq. Lack of skilled labor causes other problems, such as the large number of unemployed due to lack of diversity of work capabilities and multidisciplinary. The unskilled worker can be found easily and easily, and we can find a lot of it, and that is why Iraqi youth are unemployed. Always, and they do not suffer from the scarcity of work because they are always required and few at the same time, so find (rulers) of the unskilled workers are available in abundance overflowing, so that the construction worker (unskilled) does not get a steady job, Those who need it for a week or more, causing economic difficulties Poverty and unemployment and vacuum inoffensive. How to address this technical imbalance with complex consequences, the crucial step in this area to develop scientific plans to consider the conversion of labor in Iraq to skilled skilled employment, this can be through the presentation of a vision of treatment developed by specialists and accurate scientific statistics, and directly enter the youth and unemployed and others in courses And are organized strictly, and are funded by the competent official authorities such as the Ministry of Labor or the concerned parties in the private sector, provided that the plans are applicable and are initiated in preparation for the formation of skilled workers to be placed in factories, Will be able to participate in the multiplicity of sources of resources and not rely on oil as a single source as is the case now, where Iraq is one of the countries that suffer from the nature of the single rent. Starting to develop and apply the requirements of skilled labor will solve many of Iraq's problems, such as absorbing unemployment. In contrast to skilled labor, the gradual transition from a single-source economy to a multi-resource economy, a reduction of expatriate labor, The flourishing of the private sector, the shrinking of corruption rings in the public sector, the alleviation of the problems plaguing the Iraqi economy, the establishment of the right operation for future generations, which will have great experience and skills, with a large industrial base growing continuously, The development of skills is a catalyst for an advanced industry with skilled labor, saving Iraq from the specter of a single-supplier economy.